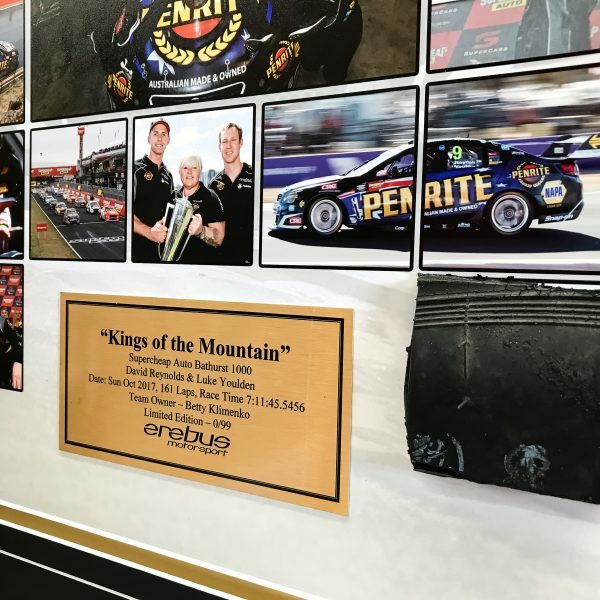 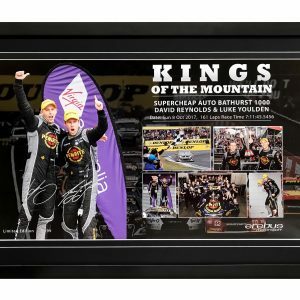 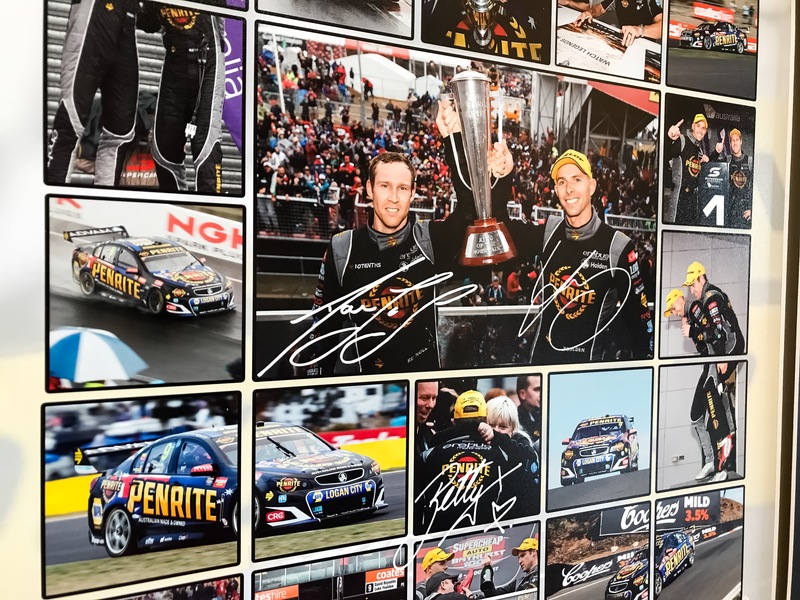 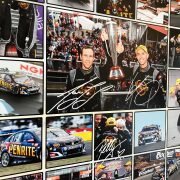 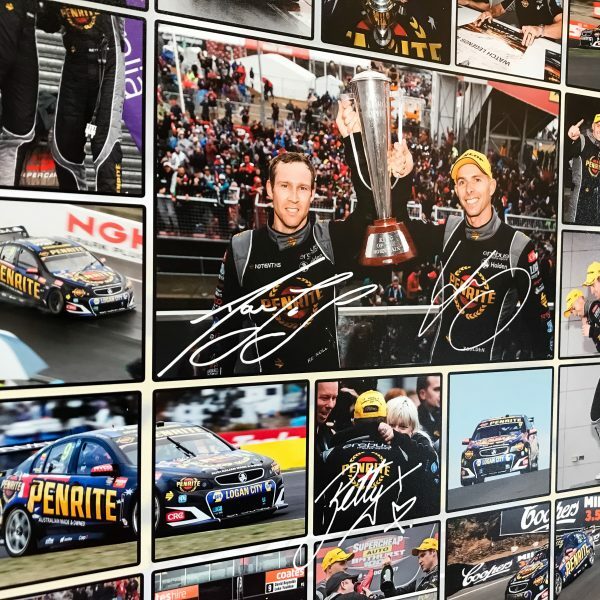 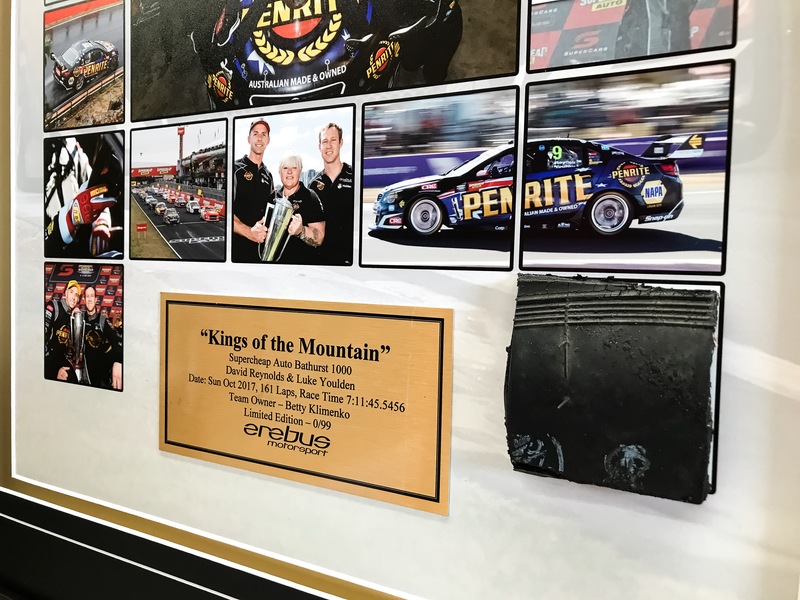 In 2017 David Reynolds paired up with Luke Youlden in the Supercheap bathurst 1000. 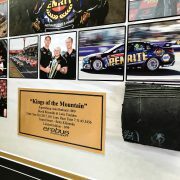 Neither are strangers to Mount Panorama, Bathurst, having taken many podiums between them but never the grand prize. 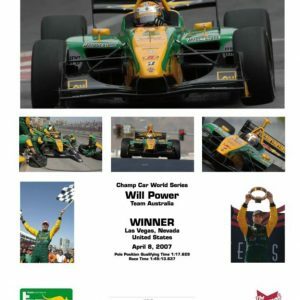 Starting second of the grid they battled throughout the day, eventually finishing the 7 plus hour race, first! 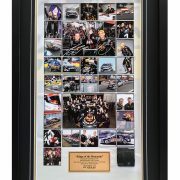 Winners finally! 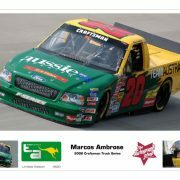 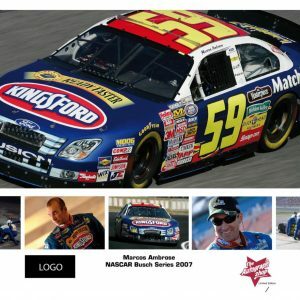 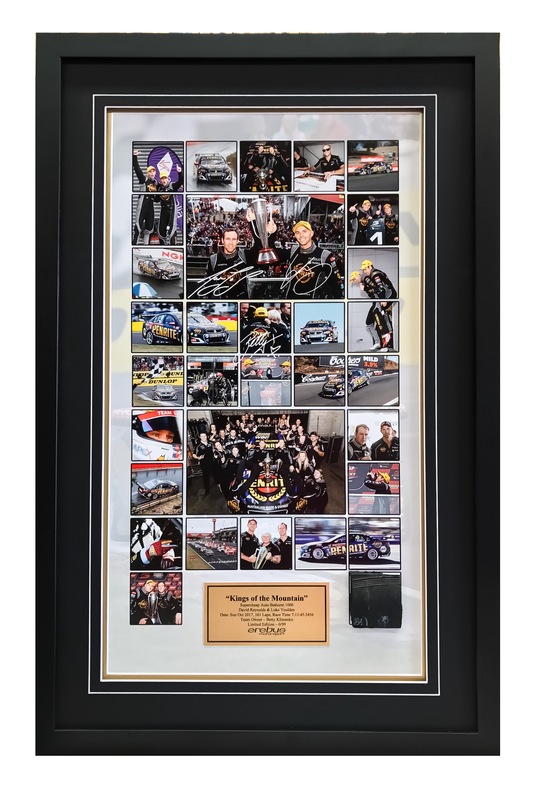 This beautifully presented limited edition release has been hand signed by the drivers, David Reynolds and Luke Youlden and team owner Betty Klimenko. 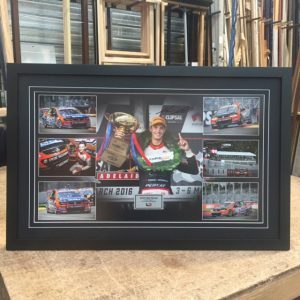 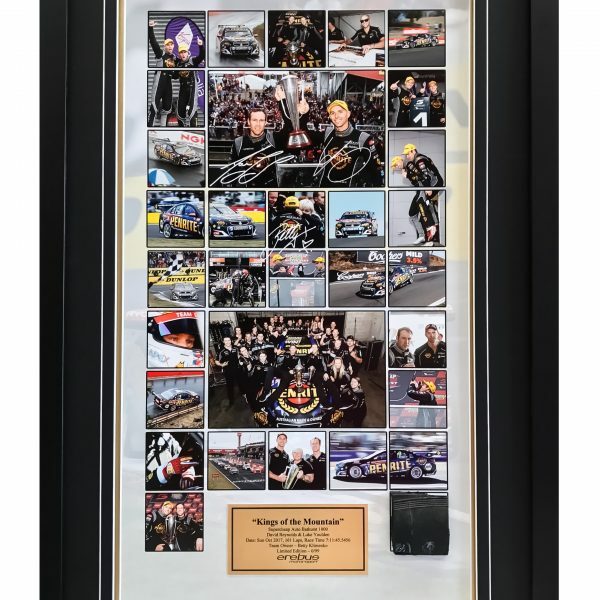 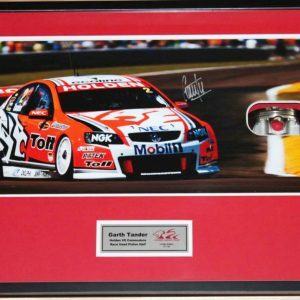 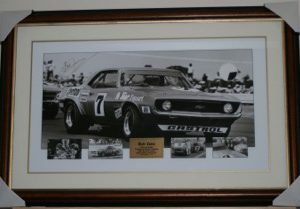 Framed with a section of race used tyre in acid free materials and UV treated acrylic to ensure longevity of your prized investment.